The Florida Comprehensive Assessment Test (FCAT) is administered to most Florida students in several subjects, including math, reading, science and writing. The 3rd grade reading test is comprised primarily of reading passages followed by multiple-choice questions. Keep reading information about websites that can help your child get prepared. The Florida Department of Education's website is a solid source for information and FCAT practice materials. You'll also be able to access the standards that the FCAT is based on. Here, you can find out about exams in your child's school district, demographic FCAT information, achievement level information and graduation requirements. The 'Frequently Asked Questions' section will likely be able to answer any remaining questions you might have. You can also download or view the official FCAT handbook from the Florida Department of Education. This handbook includes multiple sections detailing everything about the FCAT. You'll find out about the FCAT's legal and educational background, the format and content, how the test is constructed and developed, how the test is scored and how the FCAT results are reported. In addition, you can find access released FCAT exams from 2005, 2006 and 2007. Although the Florida Department of Education's website is a thorough and comprehensive resource, the state of Florida has also created another site for FCAT practice entitled FCAT Explorer. Many schools in Florida are members of this site and provide students with passwords. Enquire at your child's school to find out if the district is participating. The site is focused entirely on helping your child with the reading skills specifically addressed by the FCAT. The main section for 3rd grade reading is called the 'Galactic Library'. For information on standardized tests from all over the nation, as well a multitude of practice resources, check out the website from EDinformatics. Because the 3rd grade reading standards of many states are very similar to the SSS, the links to the exams of other states provided here can be useful when helping your child get ready for the FCAT. 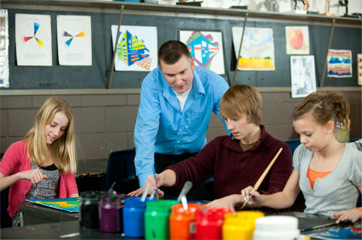 EDinformatics also provides a wide variety of practice exams and sample questions that can be instantly graded online. Your Move: Does Chess Have a Place in School Curriculum? Too Many Suspensions an Overreaction?